1. What would you say is your company’s main strength? Netcetera has always been a visionary company with a passion to bring new technologies to the market early and to deliver a high standard of service to our clients with technical expertise always on hand and accessible to our customers. 2. What makes you different from other web hosting companies? We have serviced the Hosting Market since 1996, which in industry terms proves we are highly experienced.We have adapted our procedures to meet the high expectations and constantly changing demands of today’s marketplace. We offer a Free 24/7 phone technical support. Each new client is allocated an account manager to assist with their individual requests; this means there are no phone queuing systems and no email auto responses and we also provide automation and technical support services to ensure there are no barriers to success for clients without a technical background. There will always be a voice at the end of the phone which proves our dedication to servicing clients’ needs in what can be quite a daunting environment. As well as providing a full suite of services on shared servers at Netcetera we take the time to understand our clients business and provide support for transition to dedicated servers or co-location as their business growth demands. 3. How do you define Web Hosting? As a company we define Webhosting as assessing the needs of the Global market reflecting the widespread “thirst” for information.This broadly speaking means creating a solution for the individual or organisation which allows ease of access, technical guarantees regarding uptime etc, and peace of mind. Internet connectivity, controlled environment within Datacenter space and all surrounding services like domain registration, DNS management, Secure Certificates, backups and recovery, control panels, payment processing services etc. Home User, SME organisations which require secure ecommerce access and high traffic capabilities. Large Corporate Bodies and the advanced Developer. economical and efficient solution for any organisation. 5. Describe what you are doing to anticipate the next year of Internet growth? Datacenters in Europe are critically close to exceeding their limits and we are very happy to announce that we can offer our clients the space, power and bandwidth they require. We can provide companies the IT solutions they need to focus on their core business instead of managing servers, networks and firewalls often at a significant cost savings. We have adopted a policy of continuous improvement ensuring we deliver Quality services (supported by our ISO accreditation) and a genuine customer focus throughout the business. This approach we believe will result in significant increase in market share. We know that with continued dedication to Microsoft and the Growth of ASP.NET this is highly likely. 7. Why should a web developer choose you over someone else? Netcetera were a pioneer in providing Reseller Hosting Packages and building a responsive relationship with our developer clients – we listen to the feedback we receive and ensure we tailor our products to allow developers the best solution to support their business needs and maximise profits. Our variety of Hosting solutions is the immediate factor that a web developer would choose.Our levels of support, after sales service and industry knowledge would also be a great deciding factor. ASP.NET) knowing that the support would be guaranteed and any further developments would be made readily available to them. 8. Describe the support services that you provide. We offer 24/7 support via telephone, ticket and live chat. Our offers reach from Custom Built over a range of Dedicated Server Solutions and also Shared Web Hosting Products, ideal for the first time web user and blogger through to the web designer/reseller. The ONE Package LITE is an ideal starter package giving you everything you need to publish a web site – at just £25 per year. The RESELLER Package is ideal for those wishing to create an unlimited number of web sites at a fixed price of just £25 per month – the best value in the UK! Protect your business against natural and man-made disaster with Netcetera Disaster Recovery. Netcetera provides a specialised Disaster Recovery service tailored to our customer’ specific business objectives. Natural and man-made disasters have made a Disaster Recovery a growing issue, but while the majority of businesses consider a Disaster Recovery plan important, very few have actually implemented one. In an increasingly competitive world, strategic advantages is often achieved. Through smarter use of business information. The need to prevent the interruption of service to your customers even in the event of a disaster, is paramount to e-business. Specific online gaming Disaster Recovery legislation combined with excellent technical infrastructure, telecommunications and power, as well as a politically stable government makes the Isle of Man the natural choice for Disaster Recovery. Netcetera has been named by Netcraft as one of the most reliable Web hosting companies in their latest provider uptime report and secured the top spot for the most reliable Windows Web Host. The results were announced after a month long automated analysis of routing requests and load timing requests from varied key internet testing locations around the world. These awards are based on the smallest number of failed requests and speed connection time. The reason of using these two measurements is to supply the clearest indication of network capacity and congestions, with minimum impact from the performance of the businesses own web servers. Netcraft believes customers place more relevance on the percentage of failed requests than outages on a hosting companies’ site, as this gives an indication to the routing reliability. Netcetera faired greater than all other providers who were running Microsoft Windows Server as their operating system in order to secure the top spot for Most Reliable Windows Host and was ranked number ten on the list of all providers that utilised other operating systems. “We are exceptionally proud to be named Netcraft’s Most Reliable Windows Host and ranked tenth most reliable hosting company. It is an affirmation of our hard work and strong guarantee to maximum network uptime. Along with an accurately managed network, we offer our customers a level of support unparalleled by other expertly managed hosts by giving time to learn about their business goals and how we can help them succeed and flourish. The efficiency of our network is just one of the many strengths Netcetera has to offer,” said Peter Skelton, Managing Director of Netcetera. “Our clients’ number one greatest importance is having their Web sites up and running. At Netcetera we’re no different. 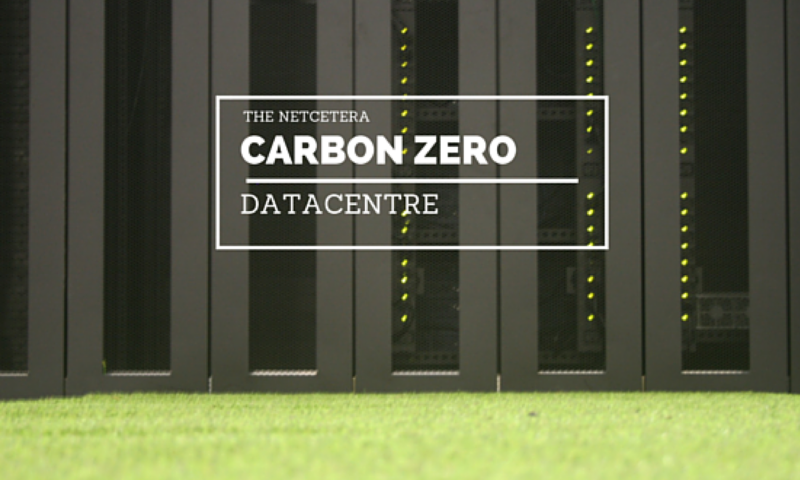 Netcraft’s acknowledgement of our reliably echoes our drive and passion to provide our customers 100% uptime,” said Felicitas Gawenat Marketing Manager for Netcetera. The periodic Netcraft uptime reports are popular world wide for customers conducting provider research and network analysis experts alike. Netcraft has provided research data and analysis on many aspects of the Internet since 1995 and is a well respected and established authority on the market share of web servers, hosting providers, operating systems, ISPs, electronic commerce, scripting languages, encrypted transactions and content technologies on the internet. Netcraft (http://www.netcraft.com) is a leading Internet research firm located in England and was formed in 1995.